Finding someone online who intrigues you enough to pursue an online relationship with can be challenging enough as it is. However, once you’ve found that person, you still need to work at developing the relationship. In many respects, some may say that online relationships are easier than in person relationships. But in reality, it’s pretty much the same, just a little bit more removed. 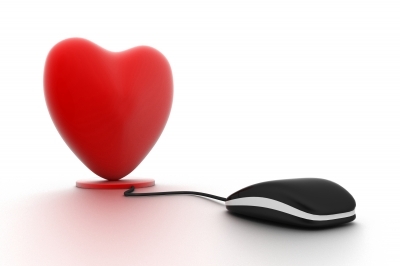 Here are 10 tips for developing a successful online relationship. Even if the person sounds fantastic online, you must be aware that there are people out there who are being everything you want them to be, but with ulterior motives. The most important online dating advice is to not give out any personally identifiable information and contact details like telephone or PIN numbers, regardless of how great they sound. Relationship advice is always difficult because we are all quite different. Dating advice from one person to another only reflects the person giving the dating advice, and not necessarily how it applies to you directly. Always take advice on dating and apply it, with modification, to who you are. Don’t fudge who you truly are, it will only come back to haunt you later on. A good tip for a quality online relationship is to take it slow. Some might more aptly call this dating tip the restriction of too-much-information (TMI). An online relationship doesn’t need to develop fully in one or two weeks. Let the personal information out slowly. A little mystery will go a long way to building the relationship, and keeping things interesting. Most people say that the art of conversation is dead. In a certain sense this also applies to online dating. Using text abbreviations and assumptions makes online relationship building even more impersonal than it already is. This particular advice for online dating could be applied to regular relationship building as well. Use simple but descriptive whole worlds to describe what you are saying. The right word will say quite a bit about who you are. For example: “I like kitesurfing because of the exhilaration and freedom I feel when riding a wave” works better than “kitesurfing is awesome”. You’ll come across as more refined rather than just another person online. This particular piece of advice requires a bit of work. Voice inflection when dating online is lost. Inflection is one of those things that we really take for granted. Quite a bit of meaning is lost without it. If you are sarcastic (like me) you can quickly lose somebody on the other end if they don’t know how the words are intended. This is one of the reasons the LOL and smiley face type notations have become so popular. The problem is that many people find these notations a bit “cutesy.” Our advice here is to use words to explain your inflection rather than symbols where possible. So, if you are being sarcastic, simply insert (sarcasm) into the text, or uppercase (OH BOY!!!) for very happy, or (OH BOY) for can you believe what he did, or whatever suits your personality and style. Just about everybody has heard the phrase “leave them wanting more”. This holds true for online dating. You might think about your daily online conversations or your longer term relationships as a multi-course dinner. Always leave the person salivating for the next course. One of the better ways to do this is to ask a question or two that requires a little thought or research. This will let them have something to bring to the table for your next conversation. This also applies to you. Indicate that you’ll look into something and let them know what you find the next time you are online. Nobody likes a “gloomy Gus” when they get online. They probably don’t want to be in an ongoing relationship with someone like that, unless they happen to be a gloomy Gus. Stay up beat when you’re writing to your online friend. Sure, everybody has their down days, and that’s fine to share. It shows that you’re becoming comfortable with that person. If a pattern develops however, you may want to assess what is going on with you personally or with a friend, but there’s really no need to share it online. If your assessment leads to a life change for the better…well, that’s a great thing to share. Relationship advice or not, good news is a turn on for most. This is perhaps the hardest piece of advice for online relationships to get used to. It’s so easy to use a word that imposes a thought, belief or need onto another person without even knowing you are doing it. If there’s one thing that will stop an online relationship dead in its tracks, it’s imposing yourself on another person. Once your online relationship progresses a bit, you may loosen up on this, but until then, always defer to the other person in the way you phrase a sentence. Make it known how you feel, but be sure that the wording reflects the other person’s ability to disagree or agree. The best online dating advice here is to meet in a busy place. All the online chat in the world won’t substitute for the first meeting and true assessment. Try to stay relaxed. Listen, but be able to carry the conversation. Stick to areas where you can find help quickly. Call me a bit of a cynic but safety first! We hope you find these online relationship tips helpful. Please feel free to share tips and advice from your own experience with relationships online in the comments below.